Does Pro JYM Genuinely Work? Pro JYM is a muscle-building supplement that promises to give you an edge in your fitness journey. It is essential that, whether you’re working out for a bulkier physique, weight loss, or even for more strength, you’re able to load your body with more proteins in order to sustain your physical vigor. This is because protein helps construct muscles. That’s why protein is crucial for muscle enlargement. It is important to note that the muscles always need to be sturdy whether you’re adding some bulk in your body or just shedding some pounds. When you’re choosing protein for your training it is important that you don’t bargain the quality of the supplement by believing that it’s only protein and that all kinds are the same. The truth is that there are kinds of protein that are subpar and thus, won’t be much of any help in your fitness regimen. The good news is that there are also protein supplements out there that are of excellent quality and one of these is Pro JYM. Not only does it taste great and effective, it’s also reasonably priced. The company behind the product promises that Pro JYM will either meet or surpass your standards and expectations. Pro JYM is created by the company called JYM Supplement Science. This was founded by bodybuilding aficionado Jim Stoppani, who also has PhD in Exercise Physiology. His fitness products have since gained the attention of the bodybuilders and athletes alike and now have established solid collaboration with BodyBuilding.com. Based on the info available, the supplement has 24 grams of protein per serving. Of course, protein is the most essential dietary substance required for muscle growth. It’s also the groundwork of any great athletic product routine. Pro JYM has a mixture of whey protein, milk protein, micellar casein, and egg albumen. As of this writing there are around 300 feedbacks discussing the product. It has an overall rating of 9.6 out of 10. Apparently, this rating is superb. Reading most of the testimonials, customers appreciate Pro JYM’s effectiveness and convenience when it comes to its preparation. On the other hand, what many users also appreciate about Pro JYM is its delectable taste. It also helps you feel satiated for several hours, which stops you from eating too much. The flavors offered are Vanilla, S’mores, Cookies & Cream, and Chocolate Cookie Crunch. The primary reason that this supplement has many forms of protein is due to the rate of absorption. To prevent instability, it is required to have various rates and kinds of metabolizing process. This is the reason why Whey is present in Pro JYM to deliver an immediate digestion while Casein gives slow assimilation. Eggs, on the other hand, have protein that has average digesting capacity. A serving of the supplement, which has 24 grams of protein, delivers 160 calories of nutritional value. This particular supplement is available through BodyBuilding.com for a price of $32 for a 23-serving container. Its flavors are Vanilla, S’mores, Cookies & Cream, and Chocolate Cookie Crunch. As of this writing, there are no reported adverse effects. It is generally deemed harmless to use. Women who are expecting or nursing are advised to speak with their physician first prior to using this supplement. In the case that you’re suffering from peanut or whey allergies, talk to your doctor first to ask if you could proceed with using Pro JYM. 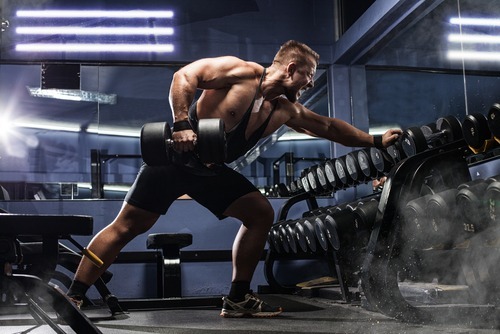 Pro JYM has apparently made a distinct impression among people who use protein powders as part of their fitness, muscle-building, or weight loss regimen. Most of the feedbacks about Pro JYM are positive with most users citing effectiveness, delicious taste, convenience in preparation, and reasonable price as the factors that make Pro JYM worth checking out.